Despite being a reasonably simple machine, buying a generator can be complex. With so many generators for sale to choose from, it essential to buy one that suits your needs and budget, both in the short-term and long-term. To help you find the right generator out of so many generators for sale to choose from, here is our no-nonsense quick start buying guide. There are typically four different types of generators to choose from. Portable – This can be used for a variety of power needs such as leisure, camping, mobile workshops, garage or simple home backup. Standby – Ideal for a backup power source and emergency planning – usually for commercial or industrial premises. Power Take Off (PTO) – Typically for agriculture, where the alternator can connect directly to the tractor. Recreational Vehicle (RV) – For camping, caravanning and motorhomes. 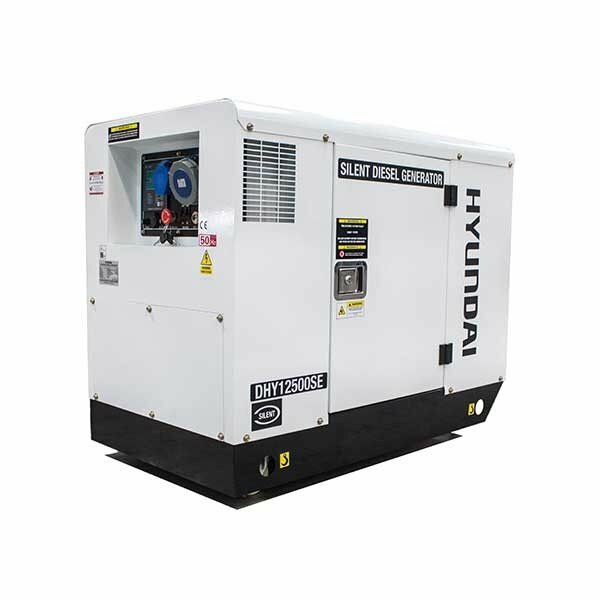 Once you have determined the function of your generator and which type of generator is best for your needs, you can start to narrow down the search of generators for sale. Depending on what you will be powering with your generator will determine the wattage needs of the generator. Some electrical items have a much higher ‘starting’ current than during normal use and you need to consider this when choosing a generator. To determine the number of total starting watts needed, you must know the running watts of the appliances you want to power and find out the machine with the highest starting watts. Add the running watts together and then add the highest starting watts to this figure – this then gives you the starting power the generator needs to be rated for. This sometimes may be much higher than the continuous requirement. Camping and small power equipment will typically need up to 5,000 watts, household items in an average home will need around 7,000 watts. Tip: If you don’t know the wattage of appliances, you can work this out. Wattage = Volts x Amps. For commercial and industrial standby or prime power usage it is best to contact us to discuss your requirements. When searching for generators for sale, the prices range far and wide. Used diesel generators will usually be the cheapest diesel generator for sale. However, the prices will vary depending on the fuel type, efficiency and power. For more value for money, choosing used generators for sale may be cheaper than buying new. With your budget, it is also important to think about running costs. The price of fuel such as diesel or petrol may be a factor to consider when purchasing a generator for sale. Depending on your use of the generator, you may need to think about the cost and inclusion of add-ons. Items such as wheels, a funnel and power cord may be required which can add to the cost or may be included in a bundle sale. You may also need to consider costs for installation and servicing. Servicing can help to ensure the life of the generator and is an aspect that should not be skipped. Having a qualified professional to help with installation and servicing may seem an added expense but is well worth the cost to ensure safety and reliability. Hampshire Generators offer a range of generators, from heavy duty to residential, agricultural to portable. We also stock welder generators, petrol generators and leisure generators too. We are always on hand to help you find the best generators for your needs. Explore our selection or get in touch on 01329 722390 to speak to one of our friendly advisors.